Denis Menchov has been handed a two year ban (up until April 2015) and had his results from the 2009, 2011 and 2012 Tours de France stripped thanks to adverse biological passport findings. Of course, this being the UCI, there is controversy involved. The details of the ex-Katusha rider’s sanction were released quietly, almost silently, on the UCI website. It says something about how buried the news was that it took two days for anybody to find out about it. Here is a link to the page you have to access in order to see it, just click on Anti-doping rules violations and you’re there. To see the .pdf file directly click here. This is all we saw of Menchov’s ban. 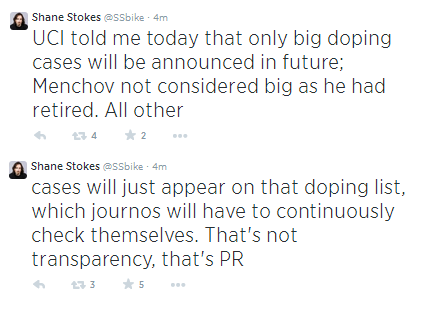 That is, until this evening when the UCI issued a short press release that didn’t really add much. Grand Tour winner Menchov is the biggest fish caught by the biological passport, so it seems odd not to say anything about news of his suspension, no? No announcement of proceedings being opened? Cast your mind back to May 2013 and the Russian’s sudden retirement due to a “knee problem”. At the time, rumours were swirling about possible biological passport proceedings being opened against him, something the UCI Communications Manager was quick to deny. As with most things regarding the UCI, its tough to decipher the logic of their actions. Usually there is an announcement when biological passport proceedings are opened against a rider (in fact, I think Menchov is the only rider with whom this has not been the case). This opacity does beg the question whether Igor Makarov – the President of Russian Cycling, boss of Katusha and member of the UCI Management Committee – could have had something to do with the lack of any announcements. Its certainly within the realms of possibility, but just speculation for now. As for the announcement of the sanction, well the UCI have told Sporza and Shane Stokes that all future doping sanctions will be ‘announced’ in this way. Only ‘big’ cases will get press releases. Some step forward for transparency, eh Brian. Another question that needs to be answered is why Menchov’s case only affected his Tour de France results. In every other biological passport case, riders have all their results from the relevant time period erased. Of course, we all knew about the cases of Carlos Barredo, Mauro Santambrogio and Mustafa Sayar. That we haven’t heard about the resolution of these cases seems to fit in with the new UCI policy of opaqueness. There are a few things left to clear up with these riders. First of all, notice Barredo’s sanction – the majority of his career is simply wiped out and the Spaniard loses stages from the Vuelta, Paris-Nice, as well as his 2009 San Sebastián victory. The former Rabobank man now works in a Madrid café. 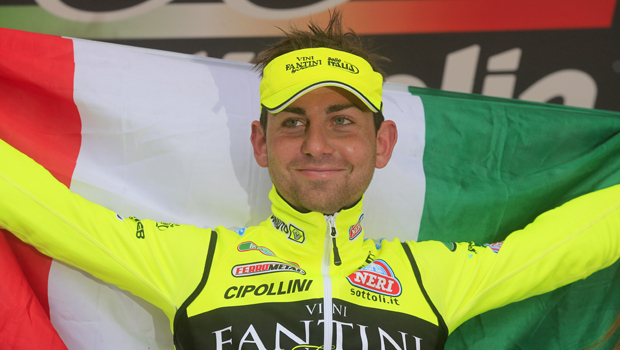 As for Santambrogio, well he has been taking shifts at a bakery during his ban. Note the sanction says two years but his period of ineligibility actually works out to 18 months. This is probably due to the Italian giving evidence to the Cycling Independent Reform Commission (CIRC). He will return next season – if he can find a team. edit: It seems as though this is the first time Leif Hoste’s suspension has been publicly disclosed. A lot to think about so far, but there is yet another strand of the story to ponder. Have the UCI broken the WADA Code? 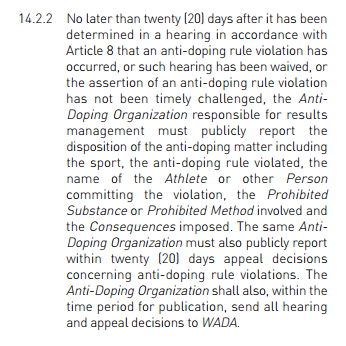 Article 14.2.2 states that a sanction must be publicly reported by the relevant anti-doping authority within 20 days of the hearing that decided said sanction. Now, Barredo’s case started up in late 2012, and the cases of Menchov, Santambrogio and Sayar began in early-to-mid 2013. It certainly seems possible that one of these announcements was made outside of the 20 day period. Unless questions are asked of the UCI, we might never know. So the 2010 Tour de France has now lost two from its original podium, and while Menchov keeps his 2009 Giro d’Italia title, finding untainted riders in the original top ten is a tough ask. We have a lot of questions to be answered, and not many answers. The decision to effectively hide away announcements of doping sanctions is a big step back by a UCI that is supposed to be transparent under new leadership. Another problem that arises out of this situation regards the silent nature of the proceedings against Menchov. Are there riders we don’t know about under investigation? And if not, why was he given special treatment? Why Menchov’s sanctions only affect one race as opposed to a full time period is another question for the UCI, while the final question regarding the WADA Code adds another problem into the mix. Lets hope that Brian Cookson’s UCI can answer these before any goodwill his appointment generated starts to evaporate.